IPOPI has since 2011 been producing primary immunodeficiencies (PID) information and a new series has just been published. 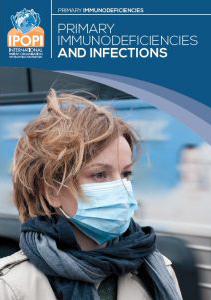 This last series comprises 3 leaflets dedicated to ‘PIDs and infections’, ‘PIDs and allergies’ and ‘PID and psychological management’, all with very helpful information and guidance for patients, their families and extended community. 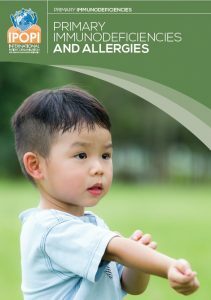 ‘PIDs and infections’ covers the range of infections that can affect people with primary immunodeficiencies and how they can best be prevented and treated and ‘PIDs and allergies’ explains why some primary immunodeficiencies are linked with allergies and how these allergies can best be handled. 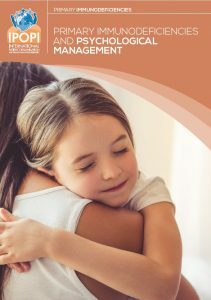 ‘PIDs and psychological management’ looks in detail at the psychological impact that PIDs can have, in children, parents and in adult patients, suggesting various coping mechanisms and highlights many sources of support. IPOPI wishes to thank Shire for their support towards the production of these leaflets!